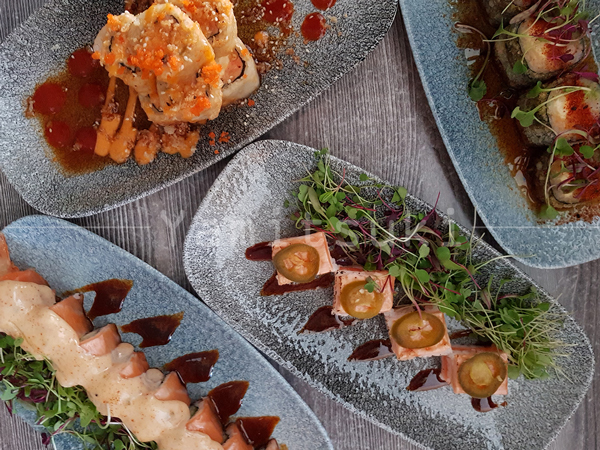 Eat Out editor Abigail Donnelly popped into our most-viewed restaurant in Joburg recently – and then popped in again the next day, and again the next… So it’s safe to say that the food’s good! It also seems they’ve smoothed out some of the service glitches they experienced when they first opened. The buffet table at the EB Social Kitchen & Bar. Photo courtesy of the restaurant. The interior at PRON. Photo courtesy of the restaurant. 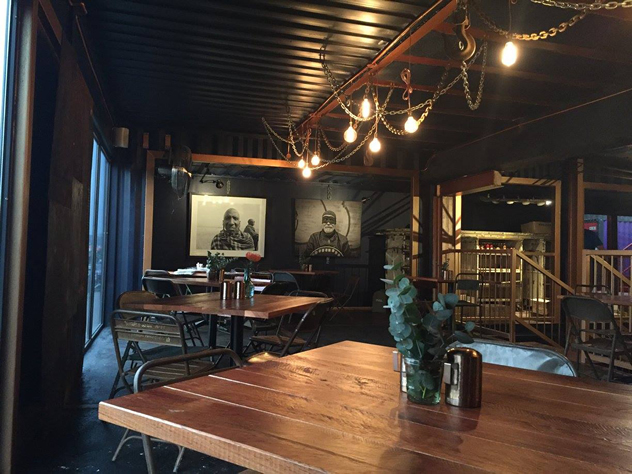 The steampunk style and smokehouse menu classics here have 27 Boxes visitors captivated. Perhaps the truffle mac-and-cheese and brioche burgers have something to do with it, too. The interior at The Countess. Photo courtesy of the restaurant. The interior at DW Eleven-13. Photo courtesy of the restaurant. The makers of the coffee in an ice-cream cone also make a damn good brew. 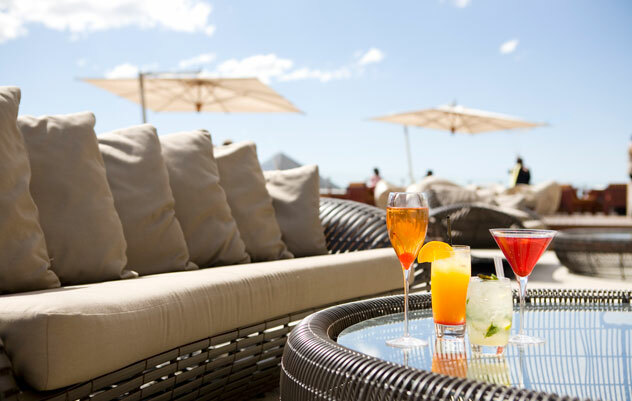 You may have to dig deep into your pockets, but the views from the rooftop bar are nothing short of glorious. The rooftop at San Deck at the Sandton Sun. Photo courtesy of the restaurant. Jozi recently gained another branch of this iconic chain. Décor features salmon pink leather, marble, and a nod to the centre’s namesake with a painting of Madiba. A great place to sip champagne. 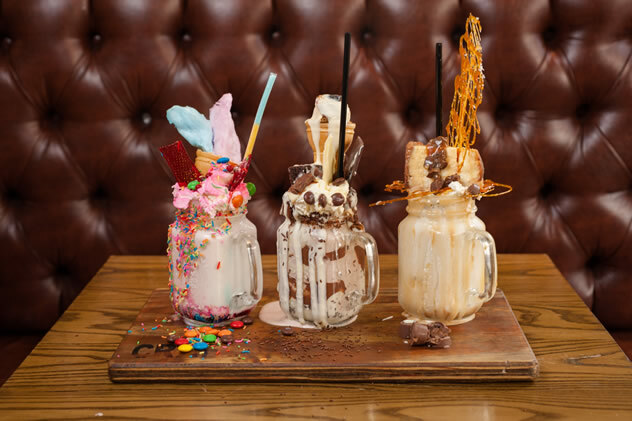 Insane milkshakes at Craft in Parkhurst. Photo courtesy of the restaurant. David Higgs’s live-fire restaurant is only set to open in May – but already it’s pre-emptive page is on our most-viewed list. We can’t wait. 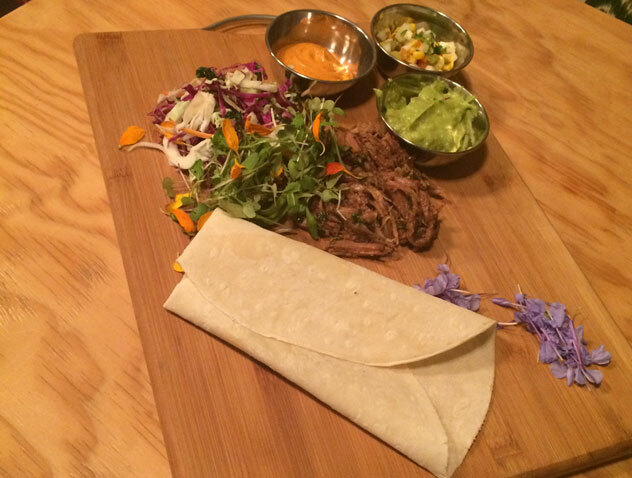 The National’s pulled pork tortilla. Photo courtesy of the restaurant. 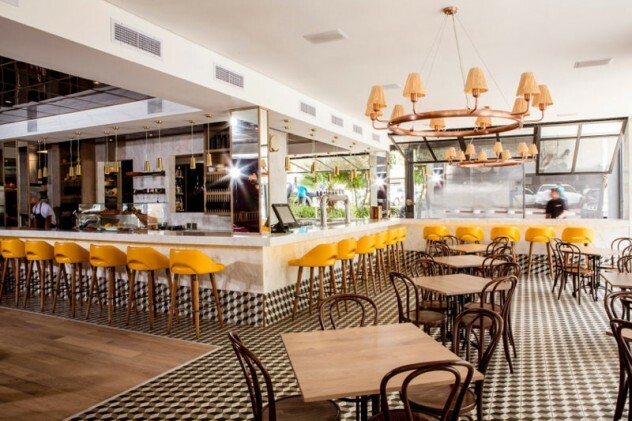 A vibey spot serving up delicious dishes like pork in a sticky spring onion and coconut rice; smoky mac ’n cheese with acorn-fed wild boar bacon; and free-range lamb burgers with barbecue jus and ricotta mousse. 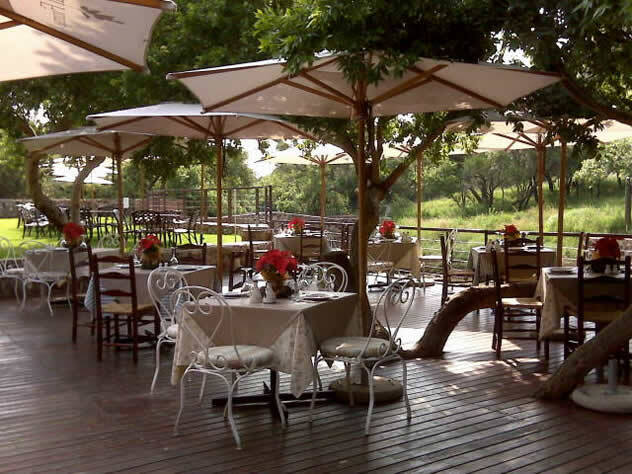 Produce is largely sourced from the family’s organic farm in Magaliesberg. The balcony at La Terrasse. Photo courtesy of the restaurant. 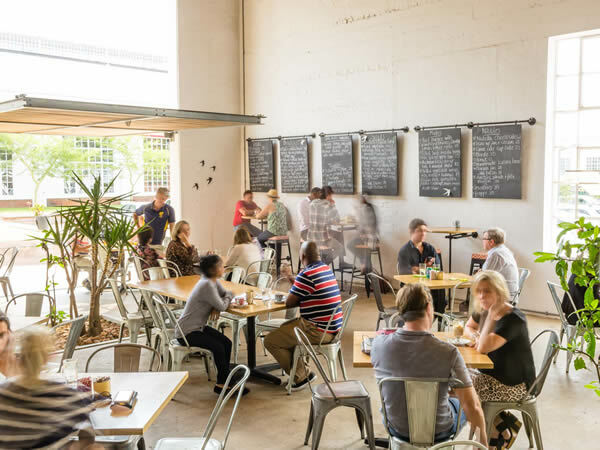 This stylish café serves up a deft mix of Afrikaans classic and contemporary cool treats – think multi-coloured rainbow-nation cake, fishcakes with suursous and butternut fritters. 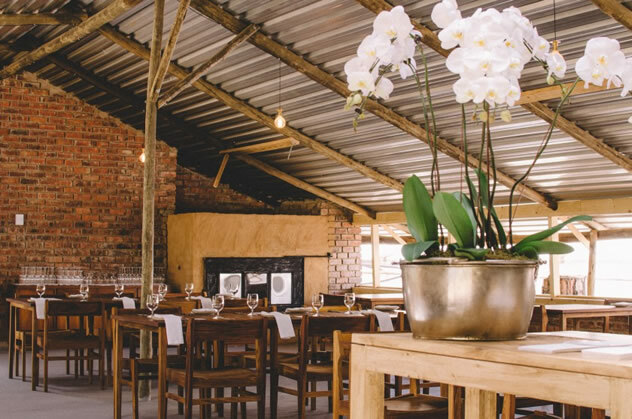 Located on a biodynamic farm, Adriaan Maree’s fine dining restaurant is doing groundbreaking things. Look forward to accessible ingredients served exquisitely – like silky-smooth duck-liver parfait or dark chocolate jelly with white chocolate snow and berries. The interior at Fermier. Photo courtesy of the restaurant. 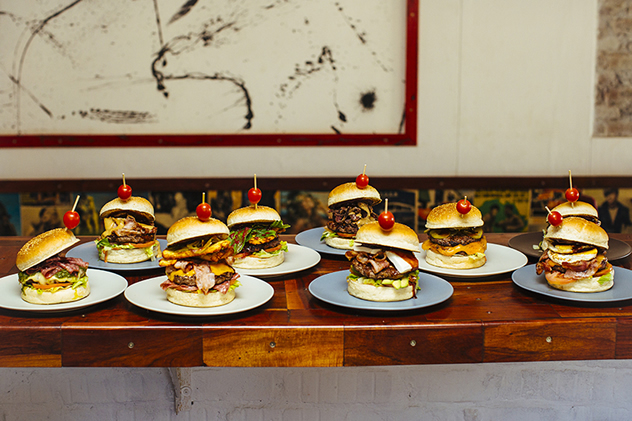 Some of the best OTT burgers in the capital city. The Miss Piggy is definitely a fan favourite: a 200g beef patty is topped with fried halloumi, streaky bacon and salami for R87.50. Burgers at Burger Bistro. Photo courtesy of the restaurant. 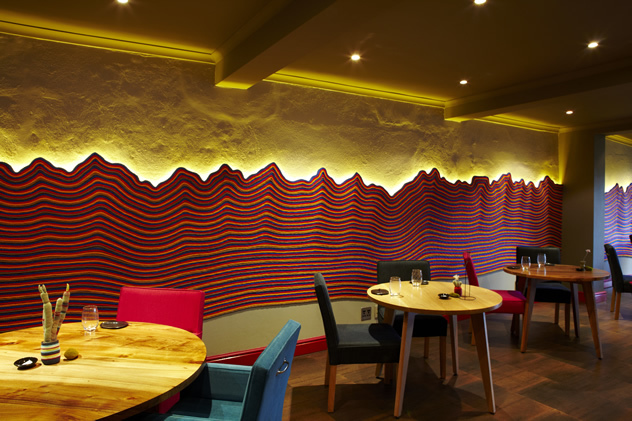 This Top 10 restaurant continues to wow diners with incredible attention to detail. The seasonal menu might include a mousse featuring rooibos, langoustines and risotto; or venison with red ivory fruit preserve with sumac. 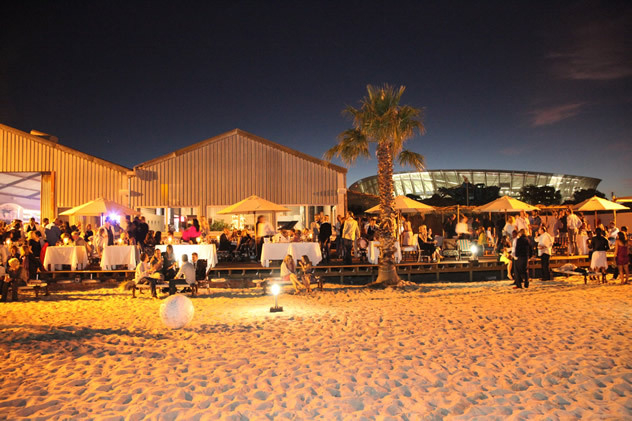 Inspired by the beach-side braai restaurants of the West Coast, this vibey, sand-filled spot offers all-you-can eat seafood, potbread, potjie and drinks for an affordable R195 per person. Pop in for sushi on the sunny deck, a classic eggs Benedict – or after-work drinks and tapas. It’s sophisticated, classy and classic. 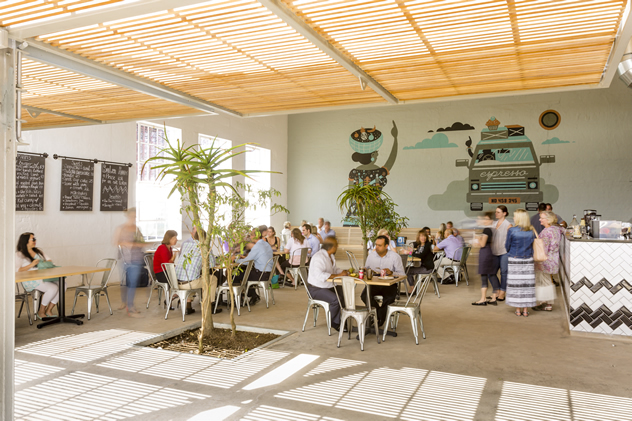 The interior at the Life Grande Café in Waterkloof. Photo courtesy of the restaurant. This hip new spot in Hazelwood serves up homemade pies in inventive flavours (sundried tomato, feta and lamb and barbecue pulled pork), pitas, sarmies and salads. There’s a lovely deck. It’s hard to beat the location overlooking the Hennops River. 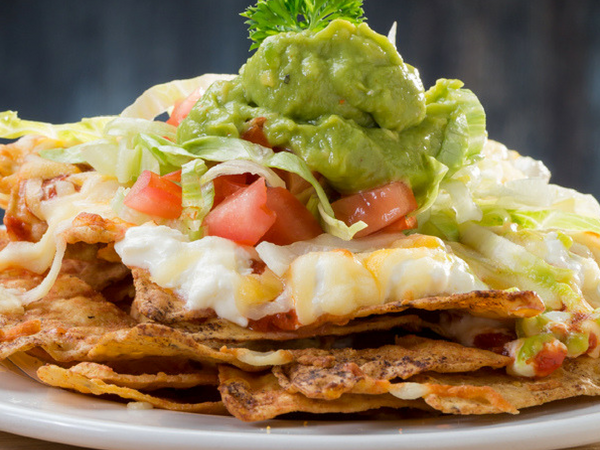 We’ve had mixed reviews of the food lately – but it’s certainly still popular! 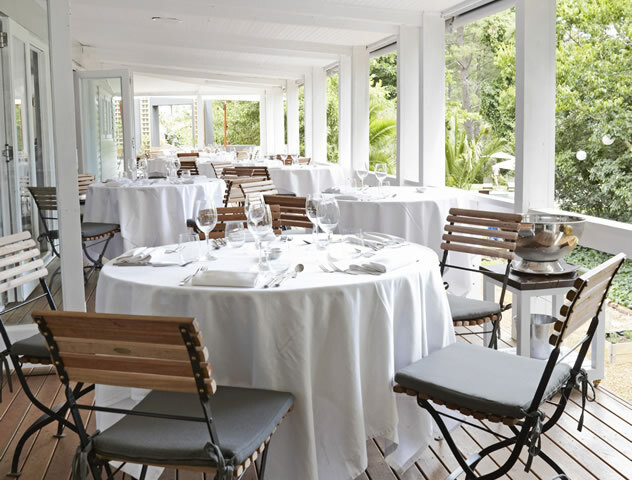 The deck at Al Fiume. Photo courtesy of the restaurant. Make sure you book a table. The opening of this excellent pizzeria just a stone’s throw from the original branch has caused something of a stir in Hazelwood. The patate e cipolla is a knockout. This elegant spot offers hearty gastropub dishes. Tuck into sriracha wings, creamy mussels and little jaffles with interesting fillings. An outside view at Fourteen on Chartwell. Photo courtesy of the restaurant. We’ve had some up-and-down reviews, but the curry buffet remains incredibly popular. The huge house makes for a spacious setting. 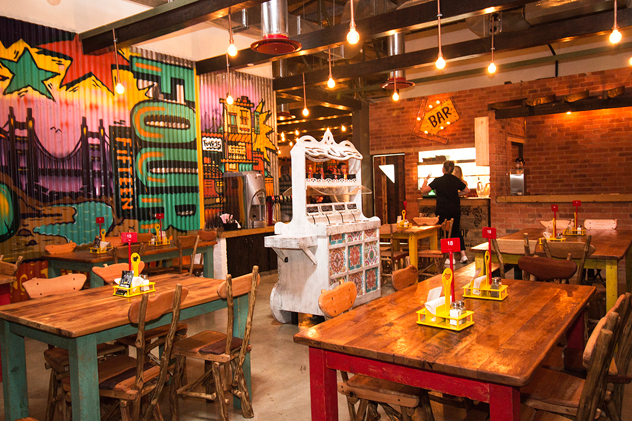 This buzzing deli-style spot has become something of a Durban landmark. Don’t miss the free-range, grass-fed meat sold at the butchery. 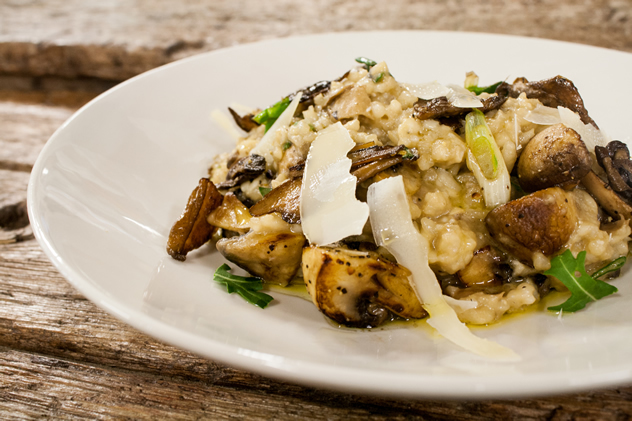 The risotto at Old Town Italy. Photo courtesy of the restaurant. Based in Westwood Mall, this spot is known for its bun with crispy caramel-and-coffee exterior and signature kadak chai. 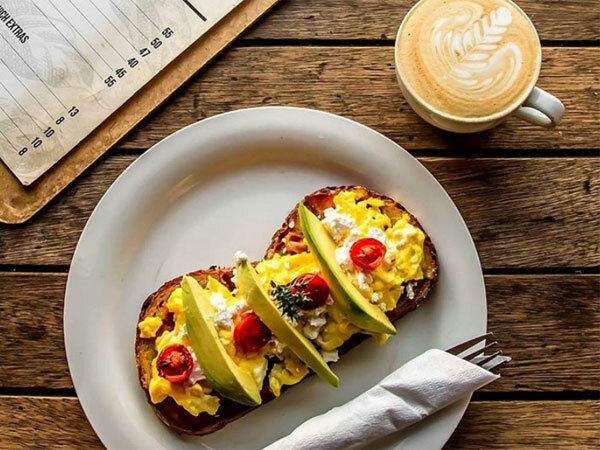 Pop in for breakfast, lunch or dinner, or attend one of this spot’s pop-up cinema, family nights, interactive meal nights, quiz evenings, wine tastings, cooking classes, or kiddies’ activities. The vast menu at this fast-casual taquería includes giant tortillas filled with the likes of smoky pulled pork, coriander and lime-infused rice. Pops of colour accent the space with a corrugated wall boasting cheerful graffiti art. The festive interior at Four15. Photo courtesy of the restaurant. This new fast-food hatch focuses on tasty and simple chicken options for both sit-in snacks and speedy take-away lunches. The menu offers chicken strips, chicken burgers and chicken wraps, with an optional side portion of chunky rustic chips, buttered corn or refreshing coleslaw. The coffee is a special brew by Empire. Inside at Pintxada. Photo courtesy of the restaurant. Here it’s all about sharing and sampling as much as you can off the menu, which changes weekly. Get your hands on the crunchy chicken crouquetas, slices of chorizo with aioli, or the roasted chicken cooked in a gleaming rotisserie oven. There is an expensive air to the place, with jewel-like colours. Outside at the Boiler Room Cafe. Photo courtesy of the restaurant. This might be a back-to-basics café, but the comfort food is anything but. Highlights include duck-liver crumpets with port-marinated figs and gorgonzola cream; charcoal-roasted pulled pork buns with pickled cabbage and kewpie mayonnaise; and a slow-roasted lamb wrap with hummus and minted cucumber salsa. This is not steak-and-chips dining, but you can go for meaty mains of pork belly, sea bass and lamb loin. Most visitors plump for pretty pisco cocktails and little snacks like sweet-potato fries and tuna tacos. 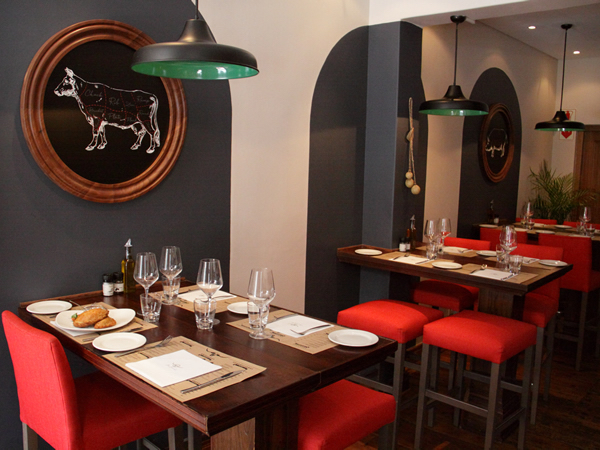 Inside Charango on Bree Street. Photo courtesy of the restaurant. 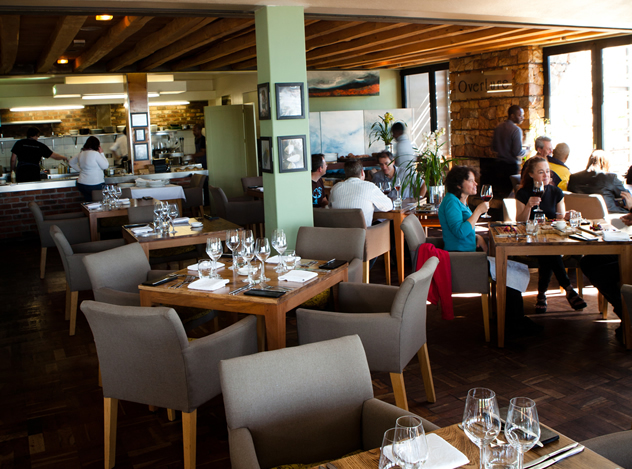 Our reining chef of the year, Scot Kirton, runs the pass at this destination restaurant overlooking Cape Town. Do you need any more reason to click through? We didn’t think so. The deck at La Colombe. Photo courtesy of the restaurant. Buckets of crab and ribs on the street-side deck are still popular at our winner of the seafood category of the 2015 Eat Out Mercedes-Benz Best Everyday Eateries. 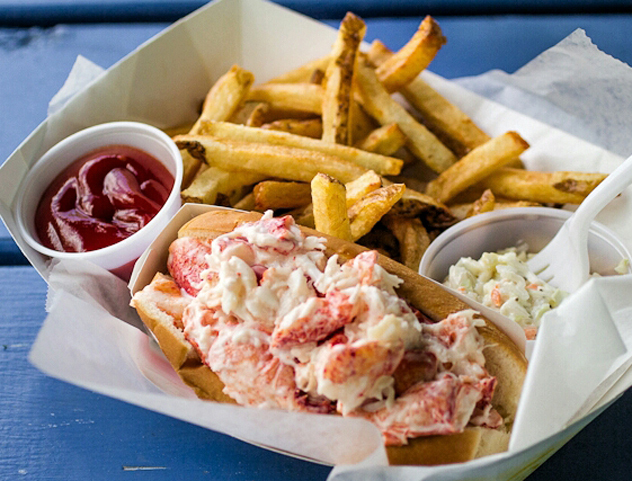 Fare from the Deckhouse Crab Shack. Photo courtesy of the restaurant. Restaurant of the Year for an unprecedented four years. You know the drill. The table setting at The Test Kitchen. Photo courtesy of the restaurant. 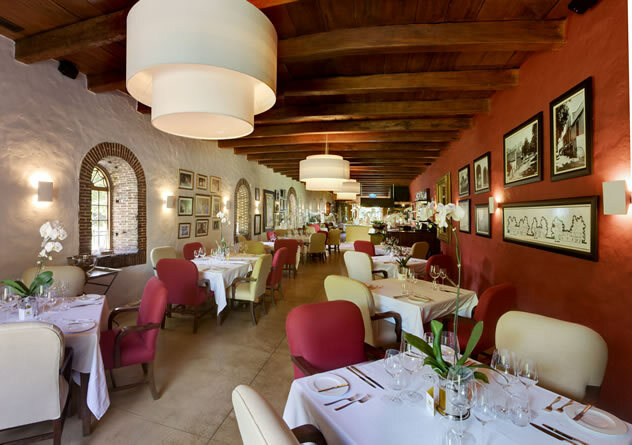 The stylish interior at Greenhouse at The Cellars-Hohenort Hotel. Photo courtesy of the restaurant. This barbeque-style eatery and brewery is every meat lover’s dream. Highlights include chilli poppers, barbecue chicken wings and arancini and flights of beers to wash it all down. It may be an artificial beach, but the food is pretty good considering how busy it can get. 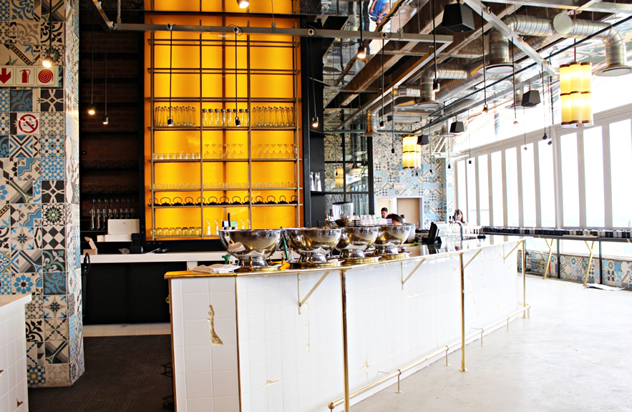 Expect the likes of wood-fired pizzas and ample seafood options. It’s more for tourists than locals. At night at The Grand Café & Beach. Photo courtesy of the restaurant. 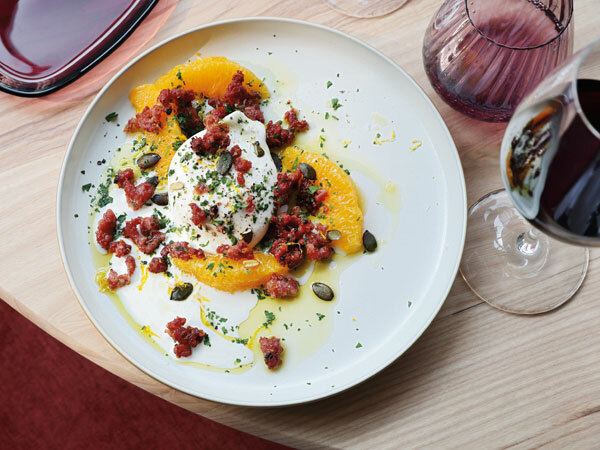 Italian food the way it’s meant to be – simple, fresh and tasty – is what you’ll find at this popular spot. Those in the know will aim straight for the carpaccio di pesca, penne gamberetti or bucatini alla carbonara. 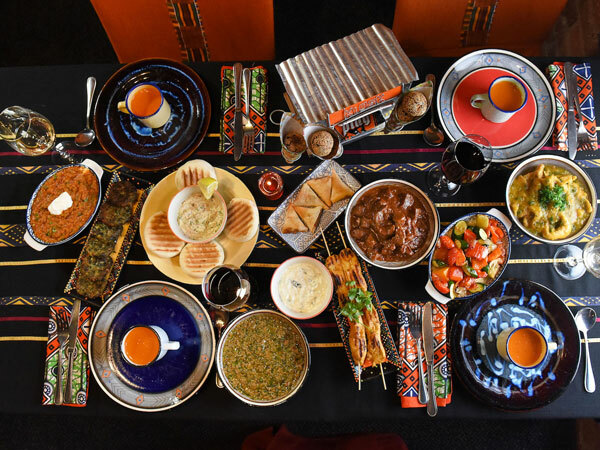 This season’s menu at this affordable fine-dining restaurant features South African inspired dishes of gemsbok, spiced butternut soup, and Cape Malay cauliflower cous cous. The interior at The Pot Luck Club. Photo courtesy of the restaurant. 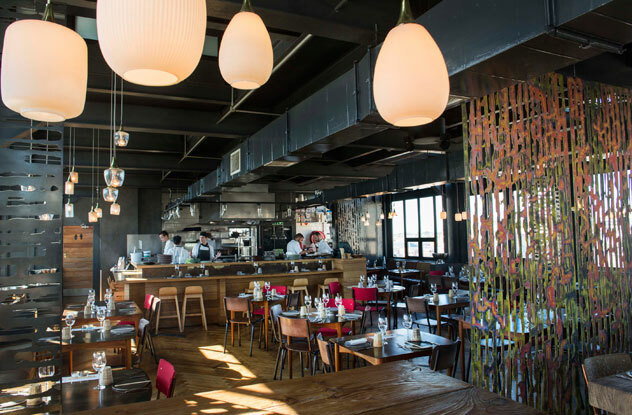 Perched at the top of the Old Biscuit Mill’s grain silos, Luke Dale-Roberts’s tapas restaurant continues to deliver some of the most delicious dishes in the whole city. Don’t miss the smoked beef with black pepper and Café au lait sauce. You’ll want to drink the sauce. Chef George Jardine’s menu at this Top 10 regular is at the same time lacking in pretention and bursting with flavour, high on technique and low on flash-in-the pan trends. 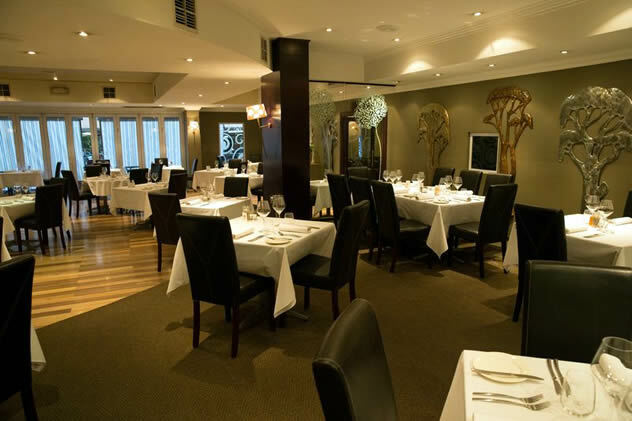 Look forward to dishes like smoked duck, salted hake, buttered fettucini and a trip to the cheese room for dessert. A lamb dish with vegetables at Jordan Restaurant. Photo courtesy of the restaurant. 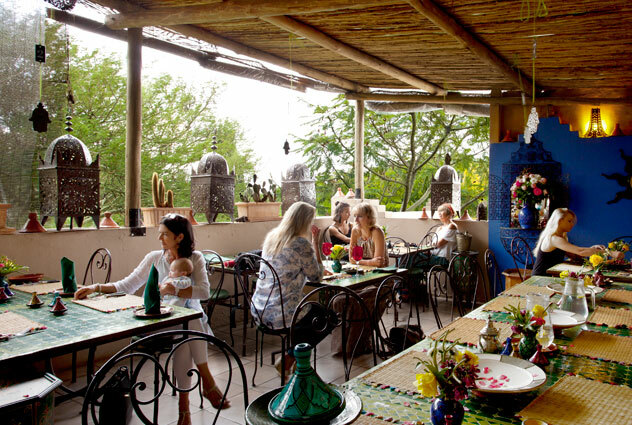 Chef Margot Janse’s surprise menu of storytelling cuisine remains a favourite for tourists and locals. The staff are really special, hence their scooping of the service award for the second year running. The interior at The Tasting Room at Le Quartier Français. Photo courtesy of the restaurant. 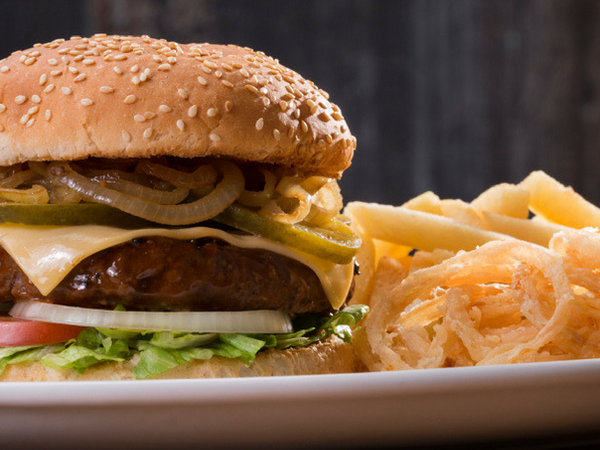 This no-fuss burger joint serves classic New York-style burgers and street food like nachos and chilli poppers, not to mention the delicious sides like fries, puffy onion rings, sweet potato crisps, salad and wedges. Chef Michael Broughton’s menu may appear deceptively simple, but the food is full of complexity and shows excellent technique. We’re particular fans of the pretty-as-a-picture yellowtail ceviche, with kohlrabi, aioli and avocado. 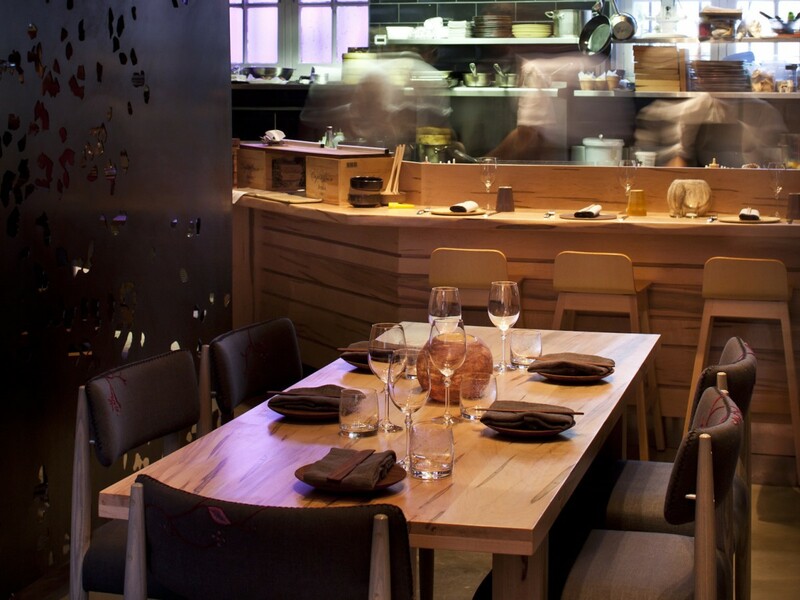 The interior at Terroir restaurant. Photo courtesy of the restaurant. 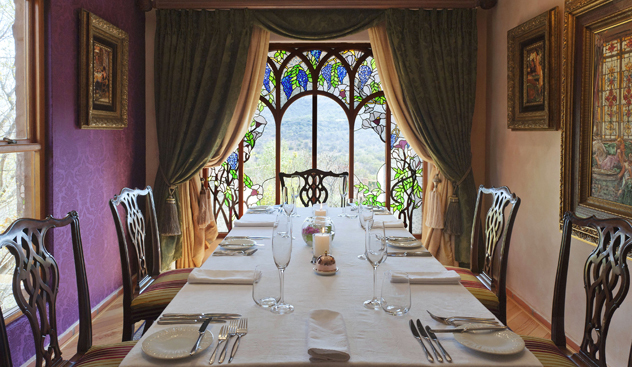 For those to whom a restaurant is more than just about good food (although the food is delicious), this restaurant has it all: exquisite views over the Banhoek Valley, opulent architecture, and artwork, sculptures and objects of beauty throughout the estate. In a town filled with pricey fine-dining options, this bistro offers affordable options such as open sandwiches and salads along the lines of Cajun chicken, beef and Caprese. The oak-shaded outside area on busy Dorp street is a good choice for meeting friends. Slow down and sink into the elegance of this award-winning wine estate restaurant. 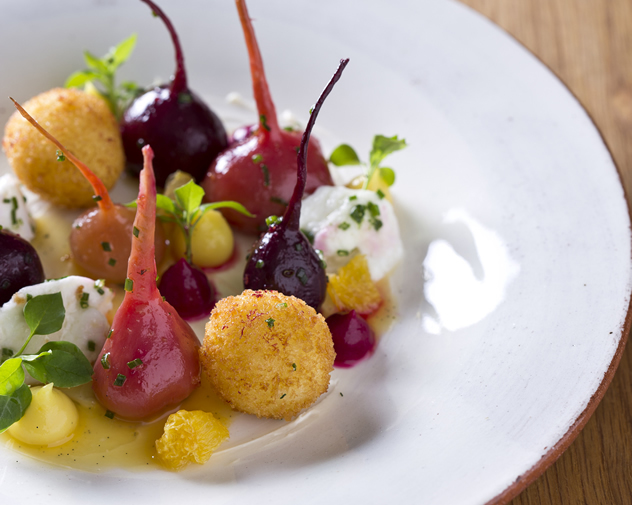 Balance, lightness of touch and attention to detail are the watchwords for chef John Shuttleworth’s cuisine. Inside Rust en Vrede Restaurant. Photo courtesy of the restaurant. Craft beers and gastro pub grub are the drawcards at this chilled spot. First prize is a seat on the deck overlooking the famous fields of the Mooiberge Strawberry Farm. 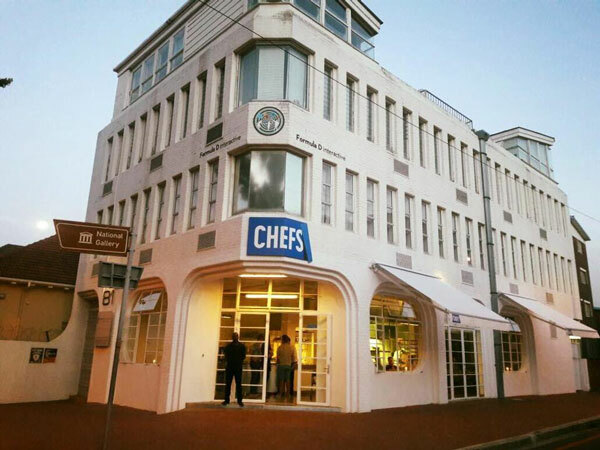 At this establishment Chef Bertus’s roots are allowed to shine. 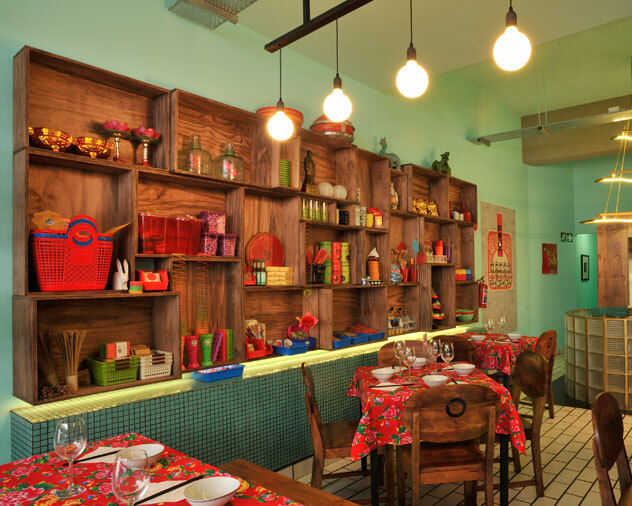 The food treads a comfortable balance between old-school classics and modern, international influences. 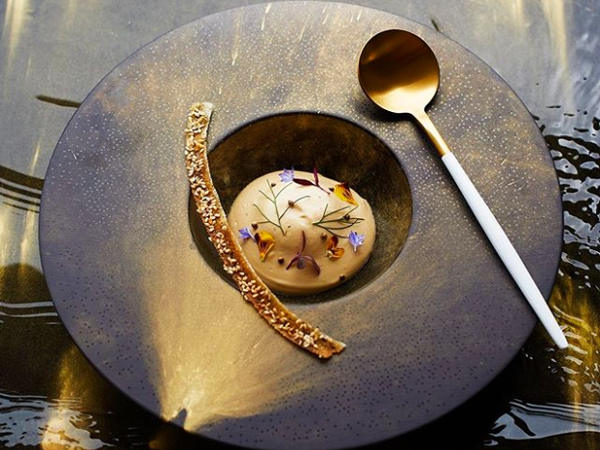 A newcomer to the Top 10, chef Gregory Czarnecki impresses with his ethereal fare inspired by the stunning landscape. The biodynamic estate supplies many of the ingredients, not to mention the delicious wines. 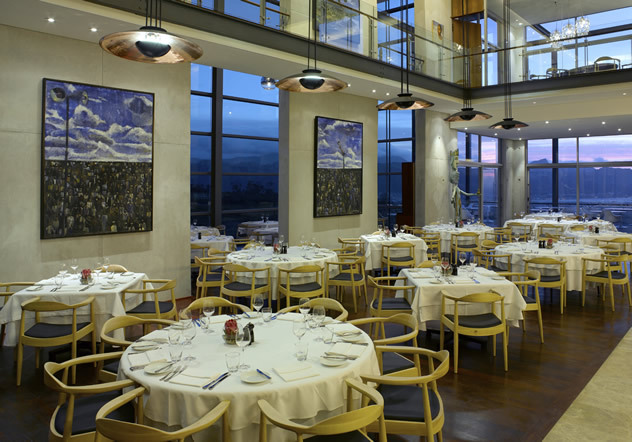 The interior at The Restaurant at Waterkloof. Photo courtesy of the restaurant. 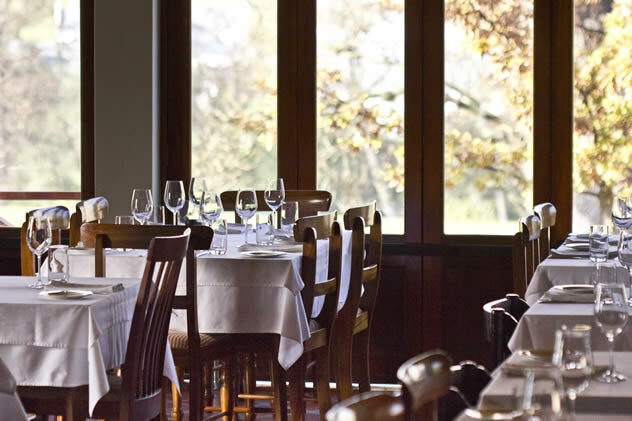 Bertus Basson’s unpretentious fine dining restaurant delivers moreish cuisine with strong local character and lashings of nostalgia. Satisfying mains include confit duck, pig’s head and trotter pie, and beef brisket. This list was compiled using statistics of the most-viewed restaurant listings on Eat Out in February 2016. The interior at Overture Restaurant. Photo courtesy of the restaurant.